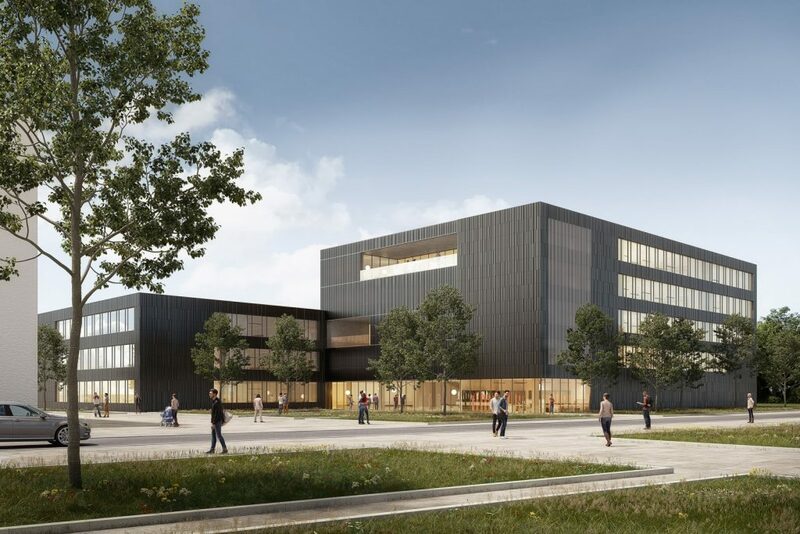 We are pleased about having been awarded the contract for the construction of the new building of Baden-Württemberg Cooperative State University (Duale Hochschule Baden-Württemberg – DHBW) on the premises of the former Württembergische Cattun-Manufaktur (WCM) in Heidenheim. The new building which will house the departments of Economics, Technology and Social Studies as well as the Academy of the Future (Zukunftsakademie) is the first step in the overall development of the area. It consists of two cubic building structures which are arranged offset from each other. A spacious foyer opening to the forecourt creates an active link between the two parts of the building dedicated to research and education as well as the promotion of children and youth.